So far our daughter has been involved in both soccer and ballet classes. We’re pretty fortunate that neither has been overly expensive but the fact still remains that we’re still at the point of needing new equipment every year because kids grow so fast! Last summer we managed to get away with only needing a soccer ball and outdoor cleats for kiddo and this year was a bit more expensive adding her ballet gear (suit, tight and slippers). Compared to my husband who can spend $50 on a pair of soccer cleats and get a few years out of them, we spend close to $40 for kids cleats and are only able to use them for a few months. At the end of her soccer year I looked at her cleats and realized they looked brand new. They were literally on her feet for a total of about 15 hours and now, one year later, they don’t come close to fitting her. I figured if she’s in this boat, there has to be other local kids who are too which is how I started my search for less expensive sports equipment. This seems to be the best for me locally. There are many (usually private) Facebook groups advertising the sale or swap of all things related to kids. Though they tend to be heavier on baby items there is definitely a good selection of other things. 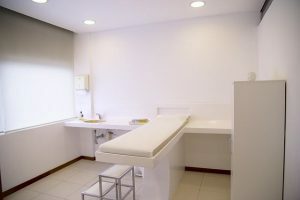 It also gives you an opportunity to reach out to a group of parents with young kids for inquiries about what you’re looking for, if someone in the group doesn’t have any of the equipment that you are looking for they may know someone. I’ve seen many successful transactions in the mommy groups I am a part of. I have looked both internationally and locally at different classifieds for stuff that we needed and in there were deals to be found, but in the end we had more luck with Facebook and word of mouth. Still definitely worth checking out. This is a huge help if you have access to one. Every year one of the huge arenas on town hosts a weekend long kids clothing and ‘’stuff’’ swap. You can attend looking to set up a table and sell or swap your stuff or you can gain admission to buy things that you may need. These tend to be hugely successful and you can find some amazing deals the only downside is that they are usually very busy especially if they’re advertising that they have a ‘’multiples’’ section for twins and triplets (a hot commodity). This is probably my favorite way to find things we need. How successful you are will depend on how connected you are though so it may not work for everyone that well. At my work I see tons of patients every week and I’ve grown to form quite a few relationships with people. When I couldn’t find shin pads that fit kiddo last year I started asking parents whose kids I knew played soccer and in a few days I had a brand new pair sent to me at work from a kid who never used them. It never hurts to ask around! Moms at dance also swap dance gear between kids as new kids start and older kids grow out, though it’s not advertised the receptionist at the studio usually keeps a list of dance gear people have looking to swap if asked. I feel that it is important to involve children in all kinds of different activities, and while they’re young and have a lot of energy, sports especially. 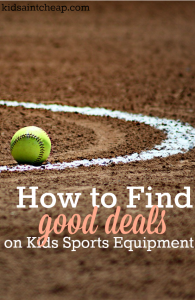 It can be overwhelming when it comes to equipment but don’t let equipment cost alone prevent you from having your kid try a different sport out! 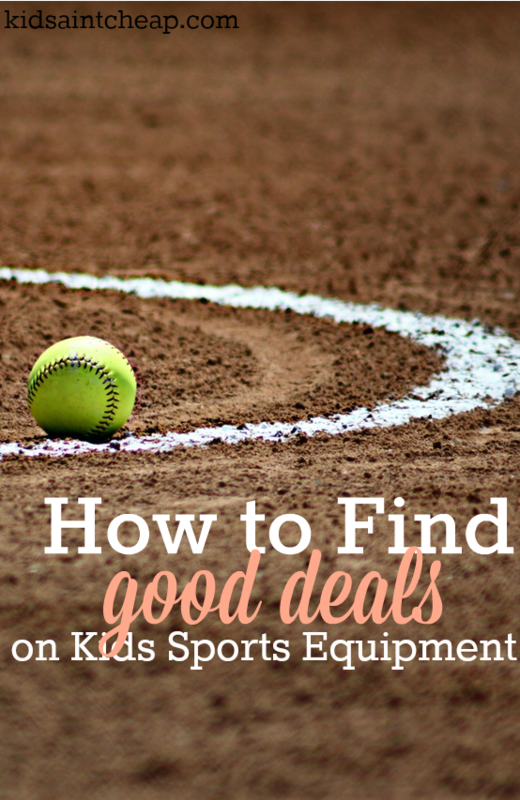 How do you save on your kids sporting activities? Do You Involve Your Kids in Politics? Money and politics tend to be two topics that people hold tight to the breast. They often don’t like talking about them, which to me is sort of funny. Both of these topics are so, very important and in my opinion you can’t talk about them too early or too much. I write this post on the eve of Canada’s federal election and the US will elect a new president in a years’ time. Growing up in a democratic country is a blessing that enough of us, unfortunately, don’t realize. I want my children to understand the importance of having at least a basic understanding of our political system, international effects and why they absolutely must make an educated vote, for any election. I only have my own experiences to draw on, and in terms of politics, I had very little exposure as a child. This probably has something to do with the fact that the voting age in Canada isn’t until 18 years old, when most people have either graduated or are in the process of graduating high school. I’m sure the mentality is that once you move onto post-secondary education systems it will be discussed but that wasn’t the case, for me at least. I wasn’t a political science student. I didn’t study economics or history. I literally had to Google my own politicians and what the parties meant and represented when the first election happened. Unfortunately most young people don’t even bother to do this and thus, don’t vote. The US system is much simpler in the sense that you have Democrats and Republicans, as well a set election schedule. Canada has multiple parties (bigger ones being Conservatives, Liberals and NDP) as well no set election schedule, we could essentially have the same prime minister for 30 years. Boring. Teaching our children through involvement is crucial regardless of what country you’re from. We’ve already started with our 3.5 year old. When we’re driving we have her point out the different colored signs. She knows which one mommy and daddy prefers and is beginning to engage in questions. The ‘’why’s’’ have started. While I know she doesn’t necessarily understand our answers, the point is that the conversation has been stimulated. When we vote tomorrow we will bring our daughter with us. I want her to come and experience it. The TV will be on all night until the final results are in, she will watch it with us. I know she doesn’t ‘’get’’ it but it is important to us that she begins to appreciate just how important it is. I have a friend who will actually host an at home voting booth with her young children, this is a brilliant idea to me. Learning through experience is the best way to learn. Having a good political background is so important, kids shouldn’t be excluded. They should know who stands for what and how they will be effected too. A time will come when they’re granted voting power and they need to have as much information as possible! 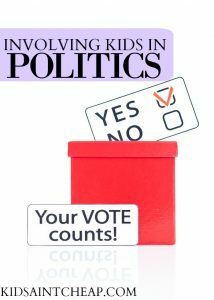 Do you/will you involve your children in understanding politics? Would You Make Your Kids Pay You Back For Their Braces? Orthodontic treatment (aka ‘’braces’’) are expensive. The materials aren’t cheap and it’s a long process- usually 12-24 months’ worth of adjustments, fittings, elastics, retainers, it’s a lot of work. I see it every day from pre-treatment to end of treatment. It’s a big topic in dentistry for both kids and adults. Though there is a large population of adults who wear braces, most clients I see are children (or young teens) who are going through treatment, basically because their parents signed them up for it. The dentist I work for will not place braces on a patient until they (the patient and parents) have full understanding (regardless of age) of the importance of retaining after the treatment is done. 9.5 times out of 10 a person MUST wear their retainers, at least weekly for the rest of their lives, if they want to keep teeth perfectly straight. Yes there are some miracle cases that stay even though the retainer has never been in the mouth, but there’s a slim to none chance teeth will stay straight without some retention. Teeth want to go back to their original position no matter how ‘’right’’ the corrected position is. Given that most of the ortho people we see are young kids, who despite us reminding them constantly, rarely wear their retainers properly and end up with relapse. Sometimes it’s mild and doesn’t bother them but we see a few cases of almost 100% relapse too where the braces are removed and they simply never bother retaining the teeth. I had one of these cases in last week. He was a 22 year old male who went through full ortho treatment six years ago. Admittedly he never bothered with the retainers and his teeth have almost totally relapsed. He was complaining because his mom made him pay her back. His mom paid cash for his braces. Their insurance didn’t cover it so for two years his mom and step dad made monthly payments on his account for his $5,000+case. He explained that she was mad at him for allowing his teeth to relapse and because he didn’t hold up his end of the bargain by wearing his retainers and she wanted a refund now that he was working full-time. It got me thinking, though I work in the industry so I feel like our situation may be a little different, the fact remains that if (and likely, when) our daughter gets braces, she will be 100% informed the entire process. Unless medically necessary (there are some instances and there almost a 0% chance she will fall into one) I will not put braces on her until she agrees to follow all directions, including wearing retainers. Though I will gently remind her to wear them occasionally (how could I not being a mom and dental hygienist?) I will not hound her. It’s her responsibility and if I don’t think she could handle it, I won’t do it. If she agrees and commits 100%, but ultimately fails due to neglect, I’d be super disappointed and may come up with an ultimatum. Though certainly not for everyone, I don’t necessarily think this mom in question was wrong for asking for her son to pay her back as he had made promises to her- as a young adult. Would you ever ask your kids to pay back for such an expense? It’s been a while since I was actually in a McDonald’s restaurant, but I vividly remember the old menus growing up that, at the very end said, ‘’Smiles are always free’’. My experience in being a mom is that the best smiles are, in fact, free but that doesn’t stop me as a parent from chasing the need to see my child smiling through my unnecessary purchases. I don’t even realize I’m doing it most of the time. Last weekend I had to go to a local big box store for an item. I was there to return something, that was it. I had no intentions of even walking around the store but when I realized I had some freedom (I was alone, no kid, no husband), I decided to capitalize on my few free moments and wander through the aisles. Given that I actually hate shopping, and am very much someone who likes to accomplish as much as possible in any given day, it was out of character for me to even want to do this, but I did. ‘’I need to buy this for her! She will love it and put a big smile on her face when she sees it!!’’. At $3.50 I wasn’t breaking the bank but, though I didn’t realize it at the time, I was doing it selfishly. Though the book was for her, the book was more for me. For me, as her mom, to see her eyes light up and smile when I hand it to her. It wasn’t until after I gave her the book when I realized what I had done. Though she was appreciative of the gesture, and thanked me for it, what she really wanted and what really got her excited was me. I had been away from her for a few hours and she wouldn’t care if I had a 10 pound chocolate bunny in my arm, she was just excited to see me and go back to mommy-daughter play time. When I really think about it, the biggest smiles and reactions are never from when we give her something, be it a special after dinner treat or new book, it’s from when we’re sharing time together, building forts on the floor and hiding from invisible monsters, when we’re in a tickle fight or coloring a picture together. Though I will still buy things for her, I won’t buy something with the selfish intention of seeking out a smile because I know in my heart I have it in me to make her smile bigger than any object. I wear many hats. Not only am a Mother, the most demanding job of all, but also a wife, a full-time employee, a freelance writer and blogger. I make time for friends and family and occasionally, myself. I like to go to the gym and love to have my nose in a good book. The problem? I need about 39 hours in a day to accomplish everything I set out to do. With a lot on my plate every day, I need to do everything in my power to make sure my day starts out on the right foot. If my morning is chaotic, the rest of my day will follow suit. There are a few things that you can do to make sure your day starts out right and maximize the hours in your day. Trust me, I’m the guiltiest of this but lack of sleep will kill your day. Everyone has a number, for me it’s seven. Seven hours of sleep is exactly what I need to accomplish everything with energy. This doesn’t mean starting to get ready for bed at 11pm if you want to wake up at 6am. It means starting to wind down earlier and get ready to be asleep by 11pm. After my daughter goes to bed I make sure the mess from the evening is cleaned up (nothing worse than tripping over toys from the night before at 630am) and lunches are made. I don’t mean deep clean with floor scrubbed but at the very least make sure basic messes are cleaned and surfaced are cleared. If I attempted to leave making lunches for my family until the morning it simply wouldn’t get done and we’d all end up spending more money than we want because lunch wasn’t packed. I also make sure everything we need to run out the door is right there, by the door. I don’t want to waste 10 minutes in the morning looking for the car keys or my purse. If you have kids make sure their bags are also packed and waiting by the door. Have you ever attempted to get dressed in the morning only to find the shirt you need to downstairs still in the dryer? If you stay on top of the laundry, meaning when you start a load finish it, including putting it away your life will be so much easier. Staying on top of laundry also allows you to lay your clothes out at night if you’re so inclined. I understand that some things will have to wait. If you can’t get the dishes done, at least pile them neatly and get them rinsed until you do manage to find a few minutes to get them done. You know your morning the best and you need to sit down and figure out what will make it work for you. Maybe setting your coffee on a timer is necessary? Whatever it takes to get your day going as smoothly as possible will make the rest of your life that much easier. 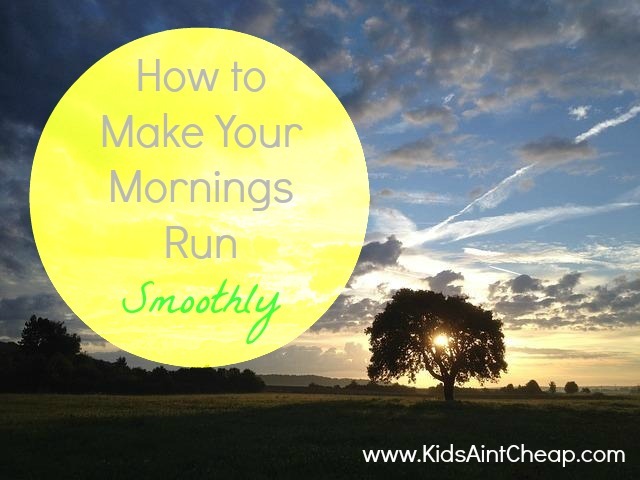 How do you manage the chaos of the morning? 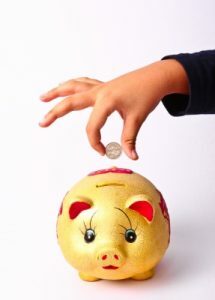 Teaching kids practical skills about money is challenging. Part time jobs or chores show earning money is not free, but there is little incentive to budget or save. 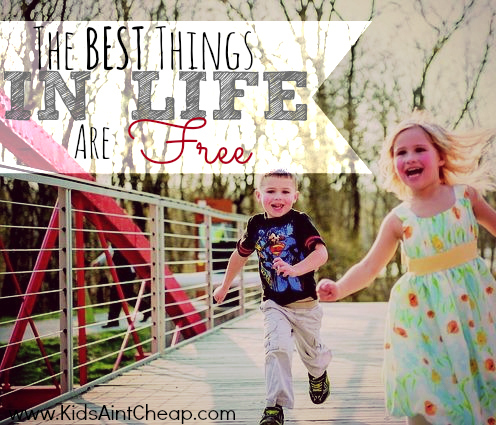 We also want our children to be ‘kids’ and enjoy their childhood without overwhelming them. 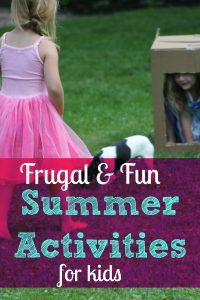 So, how can we teach kids about money in a fun and easy way? Online apps make it convenient and effective to teach money skills at different stages. Our kids are often more tech savvy then us, which puts them more at ease when learning online. Credit cards, car loans and student debt are buzzwords for teens. Many young kids focus on what debt buys, with little regard to the long term effects. Online simulators show kids what happens after they get a car, attend college or go on shopping sprees. These sites also give lessons on choosing the most cost effective loans. Sites such as CreditCardSimulator tailor to newbies who have never had a credit card or auto loan. Kids can browse fictional cards with different APRs and fees. After choosing a card, you see what the monthly payments and total cost of favorite products would be, which may be startling. Start early! Parents and kids should use a college loan simulator BEFORE applying to universities. Yes, college can be an investment, but what colleges offer the best ROI? Online tools help students see what they’ll be facing after graduation. For instance, does a $700 monthly loan payment justify a particular school? Can the same objectives be met with a $35O payment from a comparable college? This gives kids’ perspective on choosing a school that most meets their needs. Don’t forget about camps and workshops. Many colleges or companies offer free online courses or meetups that prepare students for college life and debt. The USC Keck School of Medicine unveiled a summer camp that provides internships and a chance to meet with current students BEFORE applying to school. Funded by USC alumnus Elliott Broidy, the camp began in 2013. Virtual worlds allow kids to learn about juggling scarce resources. Kids earn virtual money through games that buys cyber clothes, pets and toys for their avatars. 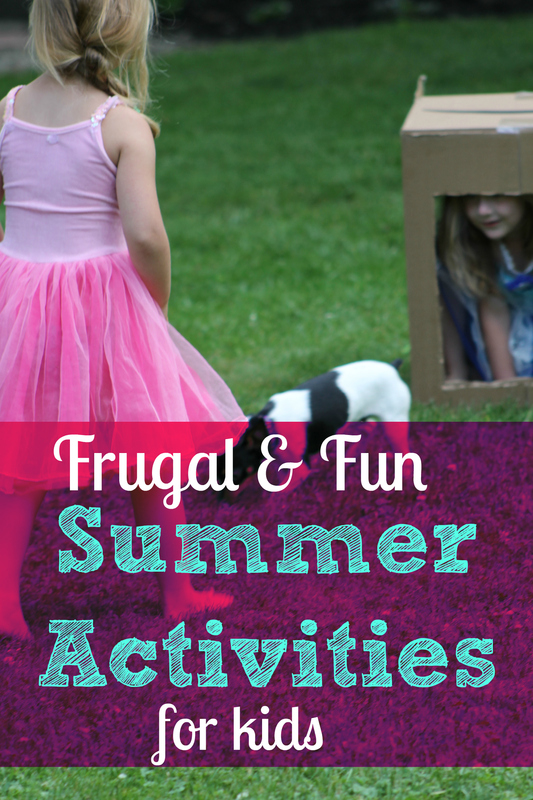 If your kid wants a puppy and new clothes, they must prioritize their budget or earn enough to buy each. Most sites connect children from across the world for interactive games and activities. You should review each site for online security and filters that prevent foul language or unruly behavior. Be involved to advise without making decisions for them. For instance, if a child has to choose between a puppy and clothes; ask what they feel is most important? They’ll likely say ‘both’, which forces them to make a money decision. Some critics say these sites encourage children to cheat for more money. Of course, what parents feel is appropriate will vary. If a child cheats for quick cash to buy a puppy, you may ask if this is the right way to earn something. Parents who notice a pattern of ‘win at all costs’ behavior may check if it spills over into school, play or other real life activities. Choose a site that puts your child in a position to succeed. Each child is different and some sites may have too little or too much to offer. If your kid is easily frustrated, a more basic platform may be a good way to build their confidence. Money is a subject that follows us throughout life. We can teach kids how to make wise choices with technology and guidance. The thought of travelling with kids can be a scary one but with a little bit of forward planning and organisation it needn’t be any more challenging than travelling alone. The secret to successful travelling is to pick and choose holidays and destinations according to the needs of you and your children. If you have very young children still in prams or pushchairs, a walking holiday may not be the best option for you. If you’re planning a road trip, then being safe is paramount. Check important documents are up to date and spend a little time checking you have the correct level of insurance cover. It’s now quick and easy to compare Australian car insurance products using Internet comparison sites. In order to fully enjoy a holiday with kids in tow, you’ll need to take things a little slower than you would usually. Be realistic about how much you’ll be able to cram into your break, the less you plan, the more you’ll enjoy it. By planning too much in advance you’ll feel restricted if you want to stay in one day, or the kids are tired. When traveling with partners, spouses or other families, it’s a good idea to split chores between you. Take turns minding the children, preparing meals and driving so you all feel like you’ve had a proper ‘holiday’. If you’re travelling to a hotel that will be providing meals for you and your family, ring ahead to notify them about any allergies your children may have. If they have severe allergies you may want to consider getting them a card written in the language you will be travelling to explaining what they’re allergic to. Gone are the days of couples only resorts or relaxing spa hotels. Having children means changing priorities and looking at venues that cater to the needs of all your family. Farm stays are gaining in popularity, as are hotels that offer arts and crafts and sporting facilities for little ones. Kids clubs are fantastic for giving you a couple of hours child-free relaxation time but you will want to check they’re not just sitting them in front of the TV. You’re kids are on holiday too so will want to have fun. It’s worth investing in a lightweight stroller to take away with you. Even if your toddler is independent enough to walk unaided, having a lightweight stroller with you means that you can stay out a little longer and enjoy a peaceful evening drink whilst your child has a sleep. Sleeping children are surprisingly heavy! Encourage your children to keep a travel journal. Encourage them to fill it with tickets, leaflets and keepsakes from the areas you travel to. This will supply them with hours of entertainment and provide them a lovely keepsake for years to come. As people head outdoors and participate in their favorite activities, they often end up injured or in pain from a fall or other mishap. While difficult to avoid, you can protect yourself with a few simple items. Here are 10 must-have items to avoid costly injuries when taking part in outdoor activities. Bug spray: While outside in the summer, you will end up eaten by mosquitos and other bugs. To prevent this and remain comfortable, wear copious amounts of bug spray and reapply it when needed. Ankle braces: Let’s face it, as we age, it is harder to run out and play sports like basketball or tennis. With one slip, you can hurt your ankle and wither in pain for days. To avoid an ankle injury, buy an ankle brace and wear it when you play sports like tennis or basketball. Sunblock: It is easy to run outside and bask in the sun for hours. While enjoyable and beneficial, wear some sunblock. 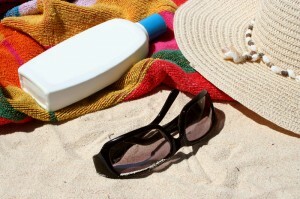 When putting it on frequently, you will avoid painful and dangerous sunburns. If you swim, choose a brand that works well in water, as you will want it to work under all conditions. Helmet: If you ride a bike or skateboard, wear a helmet. One fall, even a minor one, can leave you reeling in pain and in the hospital. Wear it on any ride, as it is easy for people to forego this when they head down the street or to a friend’s house in the area. Sunglasses: The bright sun in the summer will hurt your eyes. If you are outside for hours on end, you will damage your eyes, especially if they are blue. With a new pair of sunglasses, you will protect your eyes and avoid long-term damage. Knee brace: As we age, it is difficult to stay in shape and avoid injuries. With a simple yet highly effective knee brace, a rugged outdoor enthusiast will protect his or her knee. Otherwise, one slip can cause you to injure your knee and require surgery. Bike lights: When on the road at night, you need a bicycle light. In fact, it is often the law and you can receive a ticket from the police. Luckily, with front and rear bike lights, you will stay safe and avoid accidents. Cleats: When your kids play sports like soccer and baseball, they must wear cleats. When ill fitting, your child will suffer an injury eventually. If you test out the cleats and ensure they fit well, your kid can play sports without slipping or falling on the field. Mouth guard: When playing dangerous sports like football, you need to wear a mouth guard. Otherwise, if you are hit in the face, you will hurt your teeth. To find one, head to a sporting goods store and buy one that fits. When wearing one, you will protect your teeth and avoid a painful injury. Water bottle: You need to stay dehydrated throughout a hot summer day. To stay comfortable, carry a water bottle or two and sip from it during the day. If you notice any signs of dehydration, seek medical attention immediately. With these 10 must-have items, you can protect yourself in the summer. It is a dangerous time of the year when you play sports, as you will deal with the elements and plenty of other obstacles.